Turkey’s Law on the Protection of Personal Data came into force in April 2016. Turkey has also signed the Convention on Cybercrime, which came into force in the country in 2015. These developments help create a positive environment for building trust in cloud services. However, Turkey continues to have some gaps in other areas that affect cloud computing. For example, rules on Internet content regulation may act as a barrier to cloud services. 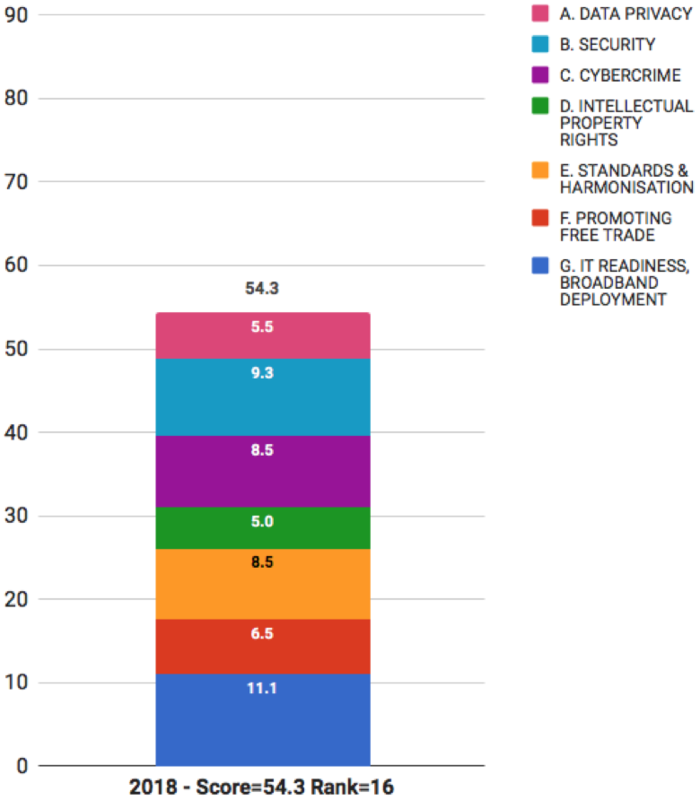 Intellectual property protection in Turkey is reasonably up-to-date, but enforcement is patchy. Turkey’s progress toward integration with the European and international communities has stalled, and some domestic preferences are still in place for government procurement opportunities. The government has an ambitious target of providing fast broadband to 95 percent of households by 2020. Turkey’s overall ranking rose from 19th in 2016 to 16th in 2018 mostly because of its new privacy law, which came into force in 2016, and the rebalancing of the Scorecard methodology. - 18th for IT readiness and broadband deployment.